I ride a bike fast. Okay, I ride a bike faster than a fly. My entire goal in France, on a bike, is to ride at a pace faster than a fly can land on me. Paddy (the wise Sage of Saint Savin, as I should start referring to him) recommended that I should ride 10kph or above at ALL times to prevent these little buggers from landing on me. 10kmh? As I understand it Frank Schleck commonly rides these climbs at 22kmh, and I am expected to go nearly half the speed of Franck Schleck? Well, that is expecting an awful lot of me, I'd say. But the flys are worth avoiding, so 10kmh or faster it will be. 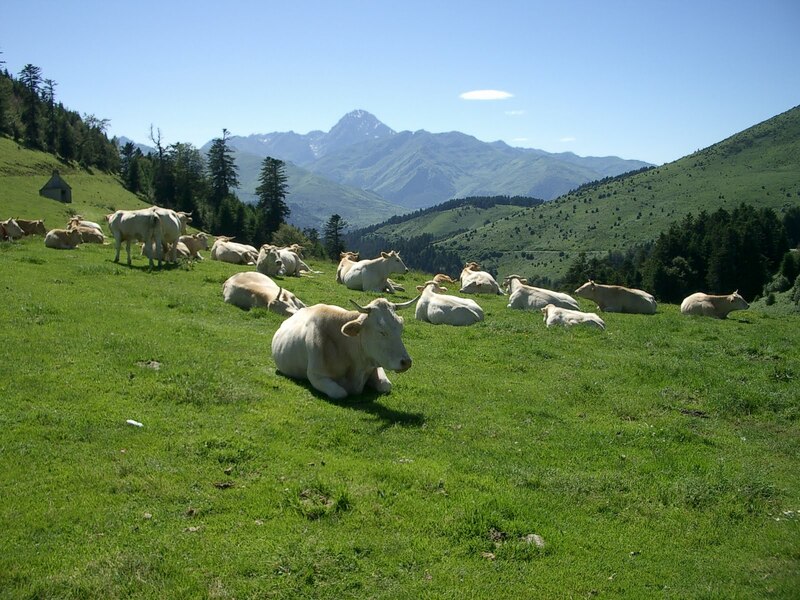 Here is the thing, every time I include one of those scenic pastoral images of climbing on a bike in France, and I describe the sound of the cowbells, and include pictures of the friendly sheep - what those pictures don't convey are the bugs. I haven't identified all forms of these bugs, but they are preying on me. I am now a twitching fool on the bike. I used to ride around adjusting the nosepiece of my Specialized sunglasses, but now, I give a quick itch & a scratch while I am at it. I hear the flys get worse as the summer goes on. There are also mosquitos, and spiders, and God knows what else. So be prepared. I might be descending and what you think is a wave, is really the odd twitch of an itch. * By the way (BTW), in France cyclists don't wave or smile, cyclists give an upward nod combined with a "bonjour" and of course, the ever important ~eye contact~. * BTW again, the wise Sage of Saint Savin says the flys are not worth killing because then you simply have dead fly parts hanging from your walls. Wise Sage.